Situated approximately half way between Caernarfon and Llanrug on the A4086 (approximately three and a half miles from Caernarfon). 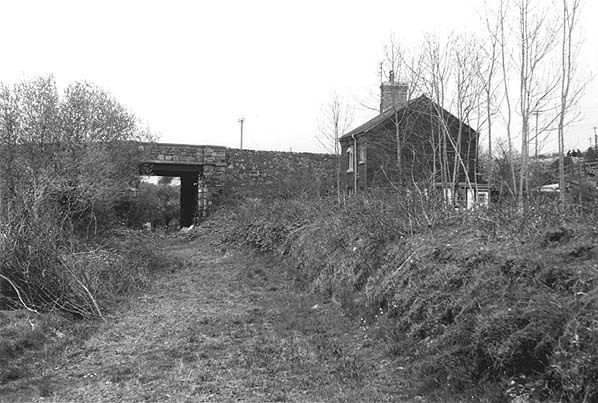 The station was immediately south of the road, just east of the Afon Seiont. Present state: Station building extant in use as a private dwelling. Platform demolished. Notes: Pont Rug was situated on the London & North Western Railway (LNWR) Carnarvon and Llanberis branch which had opened on 1 July 1869. The line had originally been promoted by the Carnarvon and Llanberis Railway (C&LR) which gained authorisation for 9 miles of railway between Carnarvon Morfa and Llanberis on 14 July 1864. Although the first sod was cut on 15 September 1864 progress was slow as the C&LR struggled financially from the start. During the 1866 financial crisis work on the line stopped completely. The London & North Western Railway (LNWR) offered to buy and complete the line using the threat of an alternative Bill as leverage. A compromise was reached the LNWR gaining 4½ miles of the line at the Llanberis end and running powers over the rest. Work began again, and on 13 December 1866 there was agreement that the line should be joint C&LR and LNWR but by July 1870 it was wholly owned by the LNWR. After deviating from the Afon Wen line, the railway crossed the Afon Seiont no fewer than seven times, climbing most of the way to Llanberis. Opening eleven years after the branch Pont Rug was 3½ miles from Caernarfon and was located at a convenient point for the nearby villages in that area, but at the time of opening Pont Rug itself had virtually no settlement, so traffic was almost non-existent. 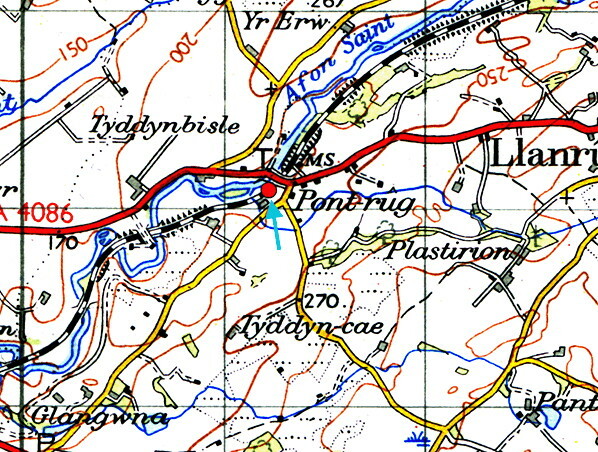 The station was located in a cutting, on a 1:57 gradient falling towards Caernarfon, just south of the Caernarfon to Llanberis road. It consisted of a single timber platform on the up side of the track, 250ft long, with a single wooden hut of standard LNWR pattern, which consisted of a booking office and waiting room. There was also a stationmaster’s house on the site. There were no sidings at the station. Approaching from the Llanberis direction, the station was difficult to sight from the footplate, which could have caused problems with longer trains. Fortunately most of the trains on the branch were short, so the problem was rare. 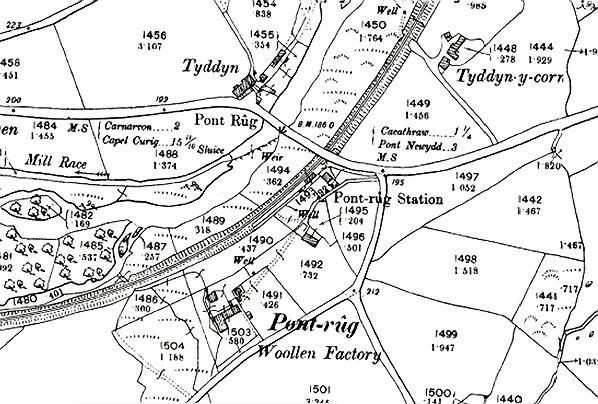 The December 1895 timetable showed Pont Rug as having four trains in each direction running between Carnarvon and Llanberis. On 1 January 1917 the station was closed as a war time economy measure. It reopened on 1 July 1919. The July 1922 timetable showed seven trains in each direction calling at the station on Monday-to-Friday with extras on Saturdays. On 1 January 1923 Pont Rug became part of the London Midland & Scottish Railway (LMS). On 22 September 1930 the LMS withdrew the passenger service between Caernarfon and Llanberis. Excursion traffic was a regular feature on the line in summer months and it continued long after closure to normal passenger traffic. There was, however, no demand for trains to stop at Pont Rug, and the station was demolished in 1938. 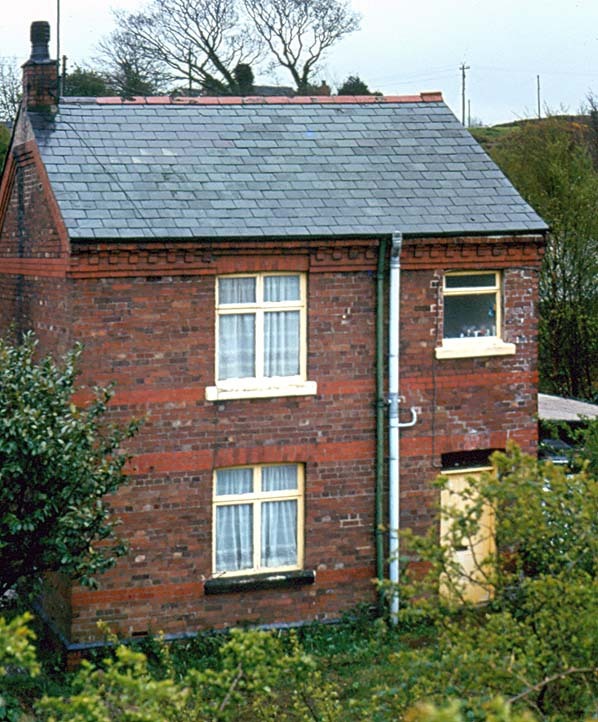 The stationmaster’s house survived and was still standing in May 2012, in use as a private dwelling. 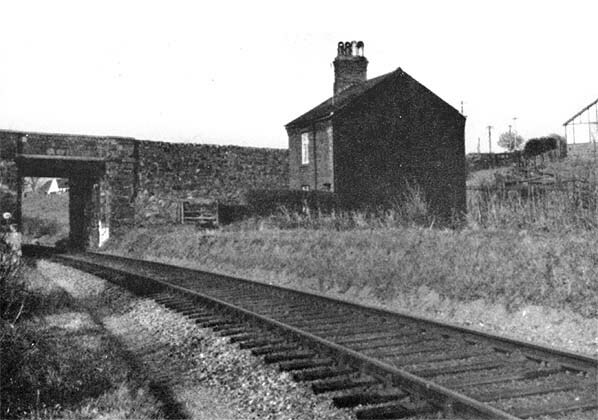 The line between Caernarfon and Llanberis closed to all traffic on 7 September 1964. Pont Rug looking north-east in the 1950s. Pont Rug station in 1890. Looking north-east along the trackbed at Pont Rug in 1973. The Pont Rug stationmasters house on 5 May 1981. Looking south-west at the site of Pont Rug station on 25 May 2012. Pont Rug stationmasters house on 25 May 2012.